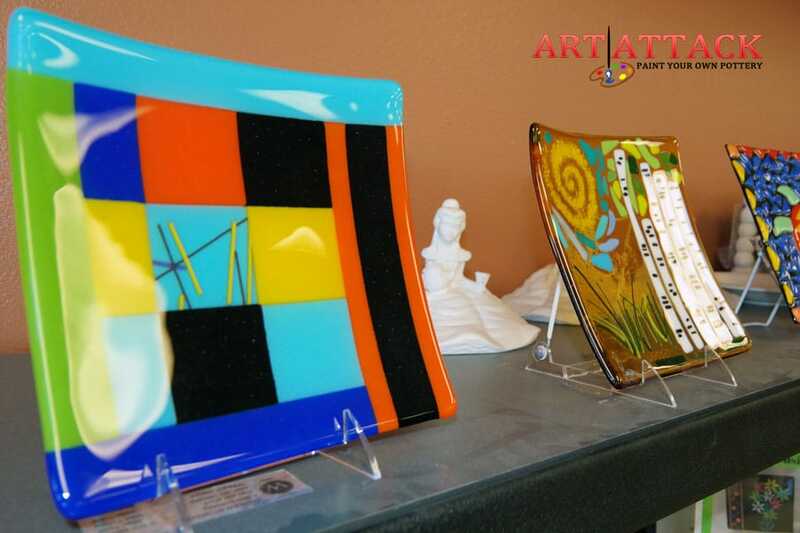 Fused Glass • Art Attack Studio located in Albuquerque, NM. Choose your project you want to create with a clear, white or black base. 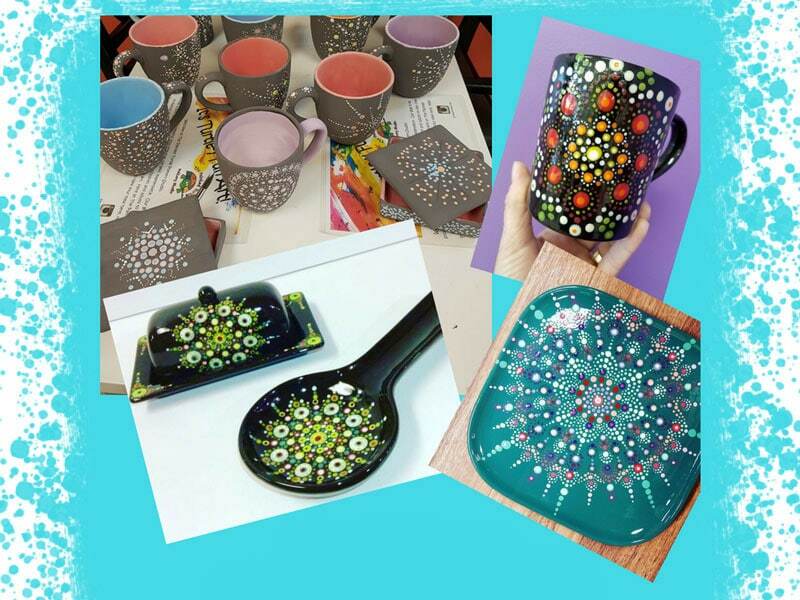 Create your design with colorful frit, bits, rods, noodles, stringer and small pieces of glass. 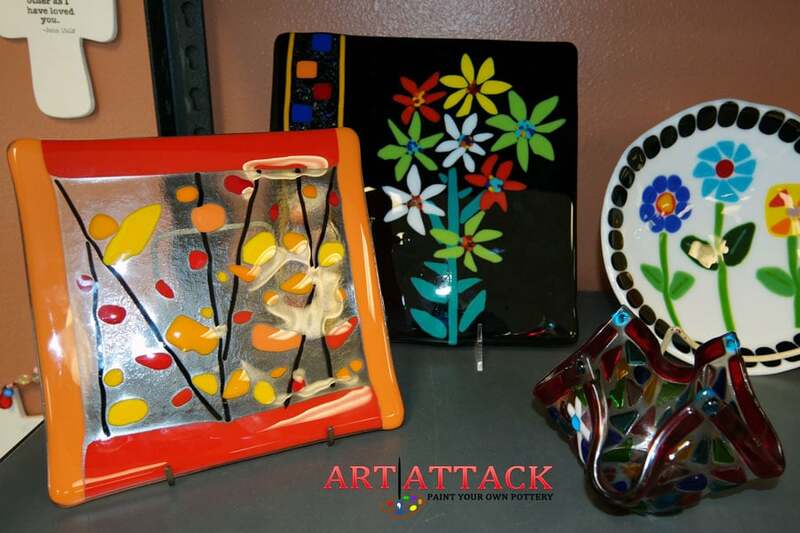 Leave your masterpiece with us for kiln firing. Your piece will be ready in approximately 5 days. If you are adding shape to your piece and it needs an additional kiln firing your piece will be ready in approximately 6-8 days. 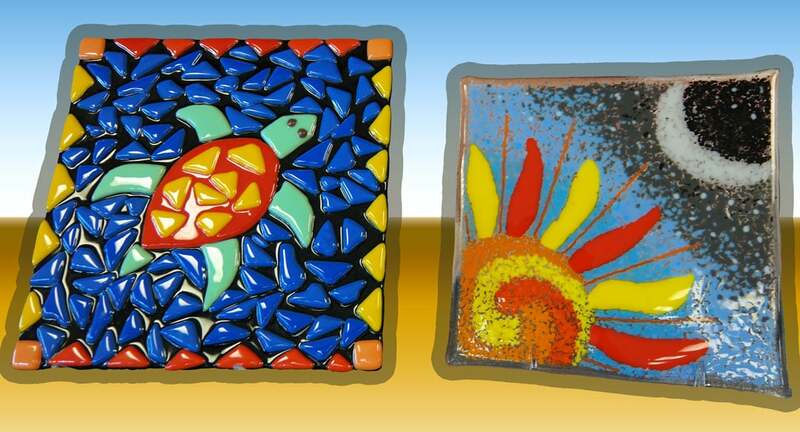 Fused glass is like stained glass without the leading. Designs are created by layering colorful shapes of glass onto a project base. Kiln firing brings those layers together for a smooth finish. 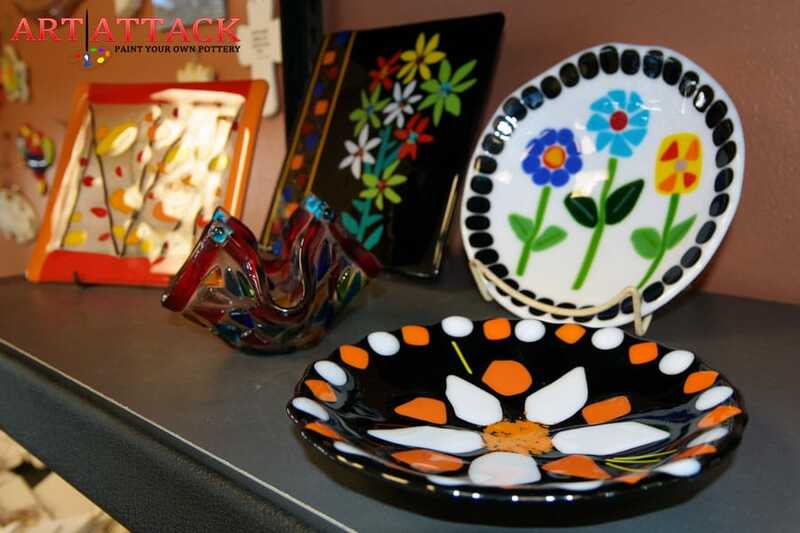 Projects you can make include; candle holders, sun catchers, jewelry, frames, plates and dishes. 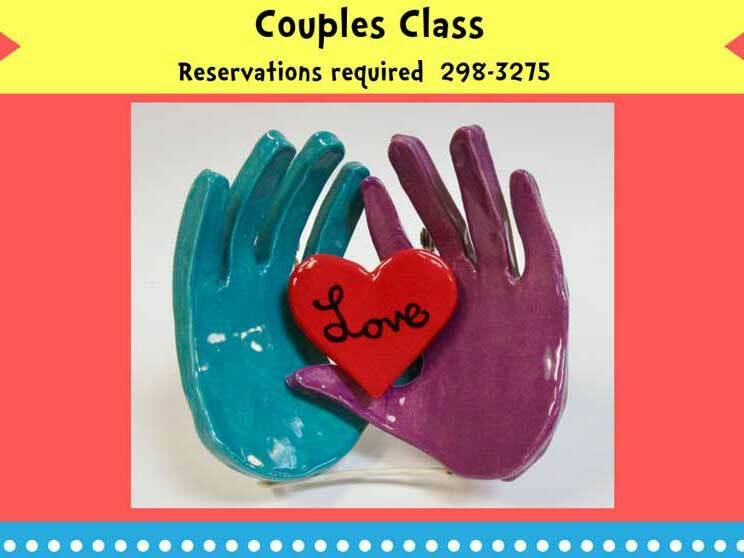 A $6.00 Studio Fee per person includes the use of all the glass tools and supplies. Prices range between $16.00-$72.00. If you wish to add shape to your project it requires an additional slump kiln firing which is $10.00 per item.